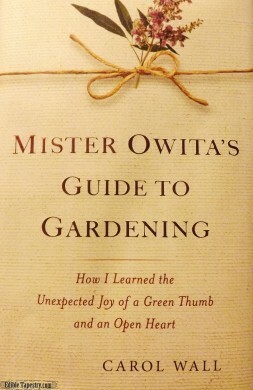 Mr. Owita’s Guide to Gardening: How I Learned the Unexpected Joy of a Green Thumb and an Open Heart is a memoir of the beautiful friendship between the author, Carol Wall, and her gardener, Giles Owita. I was immediately drawn to Mr. Owita through Carol’s detailed description of his soft voice and mannerisms. His kind smile and eyes that only once lifted to meet hers in all the years they knew each other, made me grateful for the glimpse of this man that Wall gives readers with this special book. As I continued to read, it felt so important that the world should know of him. It wasn’t tragedy that brought the pair together, but it was the personal afflictions of each that cemented Carol and Giles’ unlikely bond. And because this book feels like a gift to anyone who lifts the cover to peek inside, as well as a memorial to empathic Mr. Owita, it’s fitting that the cover art features a twine ribbon with a flower sprig, like a thoughtfully wrapped present. 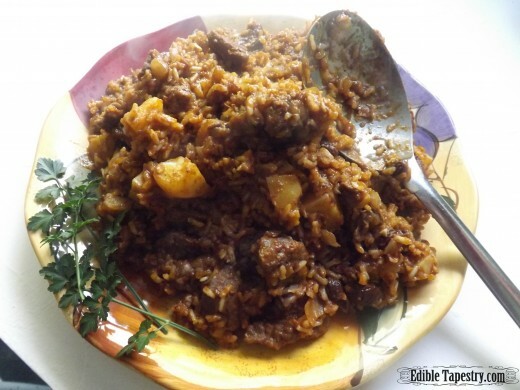 At one point in the retelling, Mr. Owita’s wife, Bienta, sends a dish of stew common in the region of Africa from which her family emigrated to Carol and her husband, along with the secret recipe she used to make it. Though I certainly would love to know what ingredients and instructions were included in the envelope that Bienta protectively slipped inside the note she sent to Mrs. Wall, it was an adventure to research and unravel the mystery of a true Swahili Pilau. 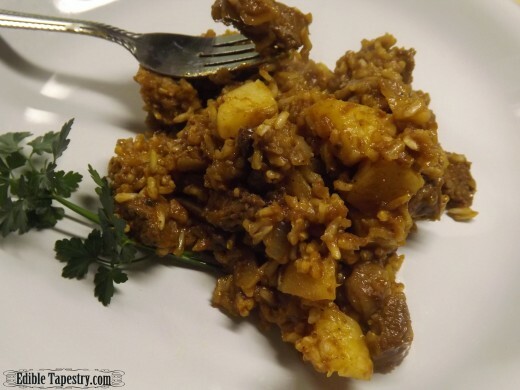 I learned that beef, chicken, or lamb could be used in the rice stew, and found that most recipes call for the exotic spices that one would expect from warm, far away places. Some allow for the inclusion of coconut milk, before or after the cooking of the rice has been executed. There is no way I’ll ever know if my adaptation of the dish could be at all close to Bienta Owita’s, but I was very pleased with the finished dish, and will include it, as well as the book dedicated to the memory of her husband, among my favorites. In a large Dutch oven, heat 3 T oil. Sauté the garlic in the oil till translucent over medium/high heat. 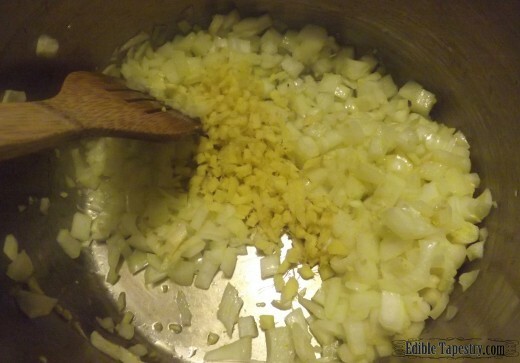 Add the onions and ginger and continue cooking until the onions are also translucent. 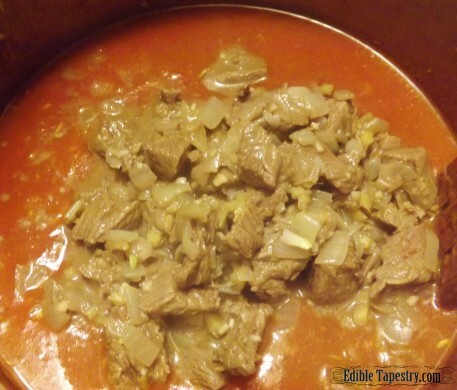 Add the beef and cook until it is browned. 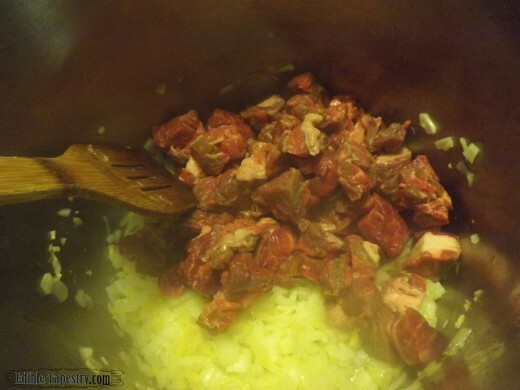 Transfer the meat and aromatic vegetables to a covered dish to keep them warm. 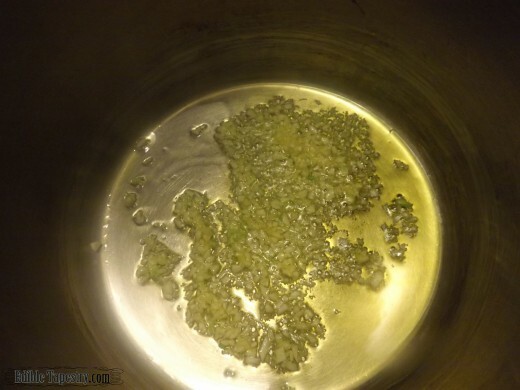 To the pot, add the additional 2 T oil. Warm to medium/high and stir in the rice. 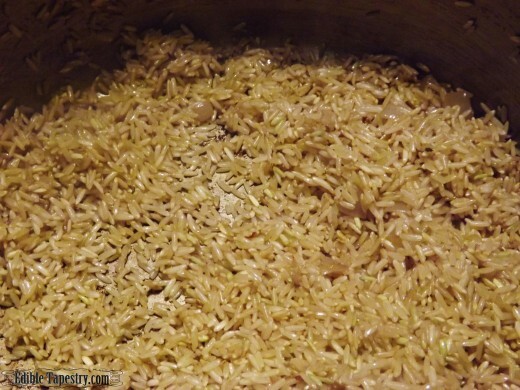 Toast the rice in the oil while stirring until it begins to evenly brown to golden. Stir in the water, tomatoes, and spices. Simmer, covered, for 10 minutes while occasionally stirring. Add the beef and vegetables back to the pot. 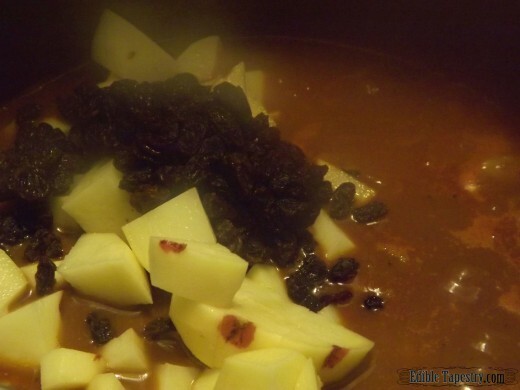 Stir in the potatoes and raisins. Cover and keep on a low simmer for an additional 10 minutes, stirring occasionally to prevent the rice from sticking and burning. Add water if the liquid appears to be absorbing too quickly. 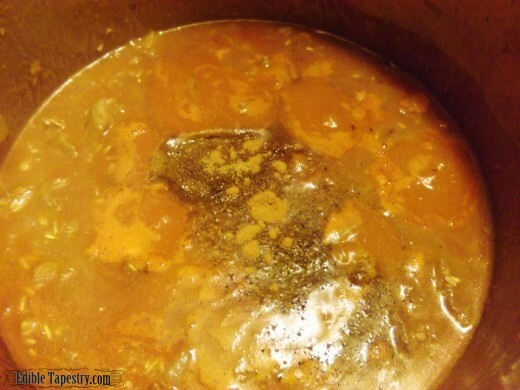 Place covered dish in the heated oven and continue cooking for 40 minutes, adding water if necessary. Serve when the rice is tender and most of the liquid is absorbed.